← The Nine Deaths of Dr. Valentine: pre-order today! 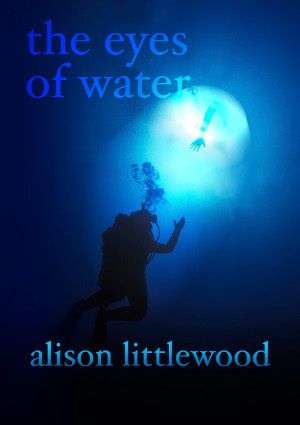 Just a short post this morning, to let you all know about the latest review of Alison Littlewood’s Spectral chapbook. This one has been posted to Jassen Bailey’s The Crow’s Caw and was written by KE Bergdoll – you can see what they thought of it by going here. Don’t forget, too, that you can also subscribe to this critically-acclaimed series of single short story chapbooks, thus ensuring that you don’t miss a single one and find out why it was nominated for a British Fantasy Award. For your convenience, there are Paypal buttons down the right-hand side (you can also pay by cheque or bank transfer – contact spectralpress[AT]gmail[DOT]com for details). You also have the option of buying 3-year or 5-year subscriptions, as well as the standard 1-year. At the same time, why not order a copy of John Llewellyn Probert’s Spectral Visions novella The Nine Deaths of Dr. Valentine, an outrageously gruesome tribute to the films of Vincent Price. There’s a separate page for ordering it, listed next to ‘Home’ above. Look forward to hearing from you – onward and upward! Thanks for the recommend, it all adds up….